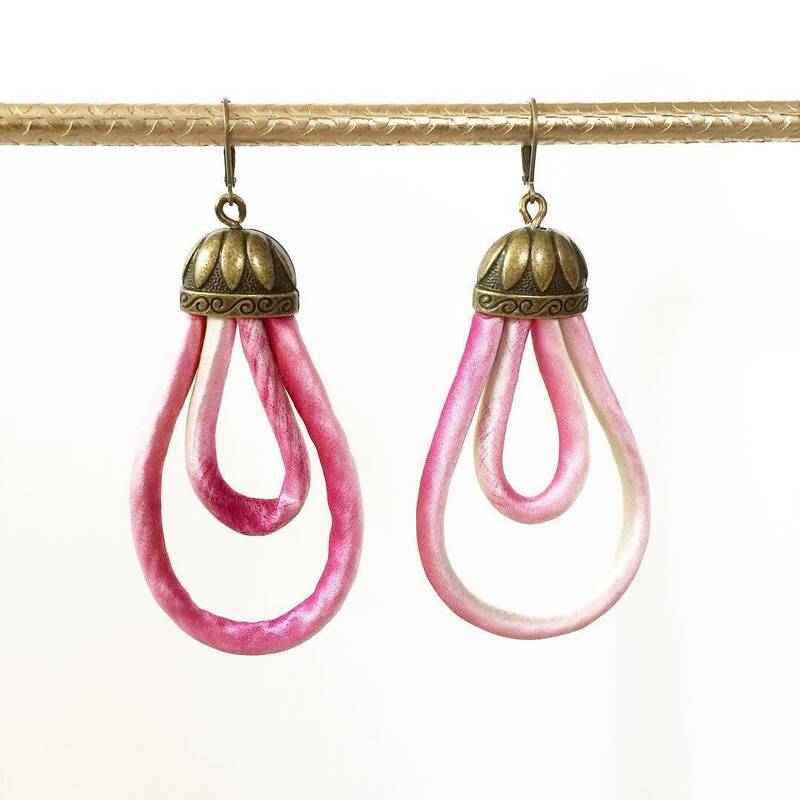 A beautiful pair of long length statement earrings, these are made with 1/4 inch hand-sewn cord made from two-toned hand dyed silk. These earrings are reversible by pivoting the earring from front to back. The colors are wine and cream tones on one side and pink tones on the reverse. These earrings are very lightweight and are 3” long by 2” wide. The metal accents are antiqued brass, finished with hypoallergenic brass lever back ear wires.